Saz’s Hospitality Group is hiring for the following positions across all divisions. Potential candidates; please submit your interest in a position as indicated within the position description below. No phone calls, please. Saz’s Catering is seeking qualified candidates for both part-time and full-time positions. Positions feature flexible schedules, making Saz’s employment an ideal opportunity for students or individuals seeking a second job. Click below to view all open positions and apply online. Please do not apply in person. Saz’s State House Restaurant has been wowing guests for more than 40 years, and we’d love your help to keep them coming back for more! We want fun, energetic folks who love to hustle and have a passion for service to join our established team. A variety of shifts are available, depending on your availability, and you can join us full-time or part-time. Previous experience would be great, but if you’re willing to make exceeding guest expectations your top priority, we’ll train you to do the rest! Click below to view all open positions and apply online.  Sazama’s Fine Catering serves as the exclusive caterer of the Marcus Center for the Performing Arts, planning elegant events from the first course through the delicious finale with the utmost in polish and finesse. If you or your friends enjoy working in a fun atmosphere, enjoy the best of Milwaukee’s festivals, and you’re 15 or older, we invite you to apply with us! If you’re interested in these positions, please drop off a completed application at Saz’s State House during business hours or send a completed application to festivals@sazs.com.